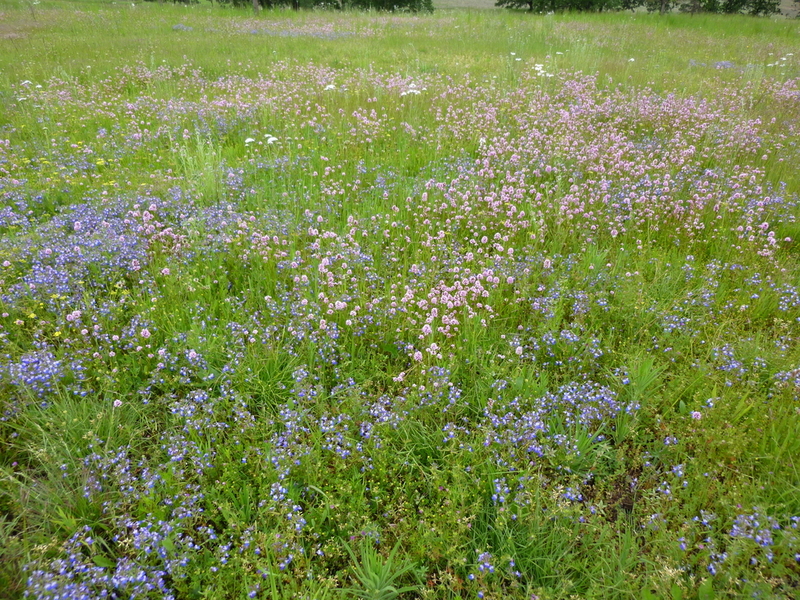 We propagate more than 100 species of wildflowers, grasses, and sedges native to the Willamette Valley Ecoregion. An ecoregion is “a relatively large area of land or water that contains a geographically distinct assemblage of natural communities.” [World Wildlife Fund]. 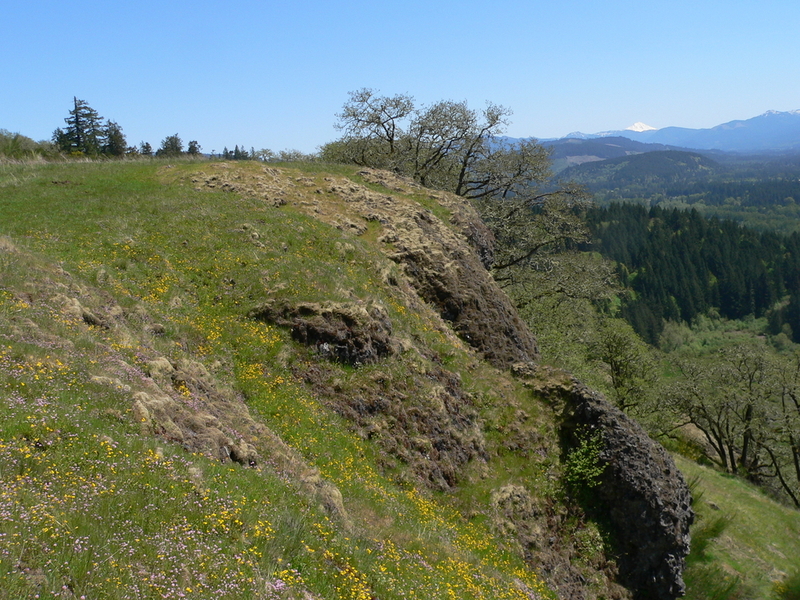 Before European settlement in the mid-1800’s, the Willamette Valley was a mosaic of rolling prairies and oak/pine savannas, oak woodlands, wetlands, and occasional conifer stands. Seasonal flooding and frequent, low-intensity fires set by Native Americans played a major role maintaining this landscape. 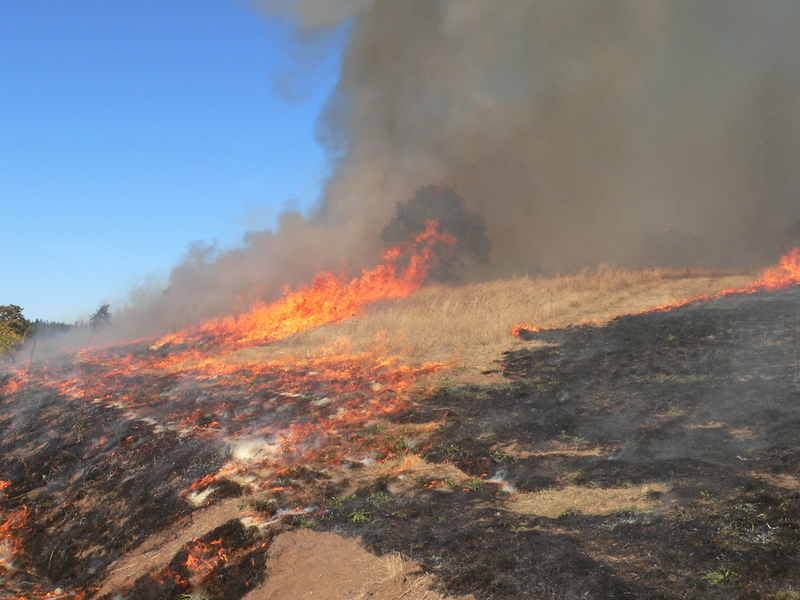 They used fire to foster lush regrowth of prairie grasses that sustained game, wild food plants such as camas and tarweed and to keep the landscape more open for hunting. 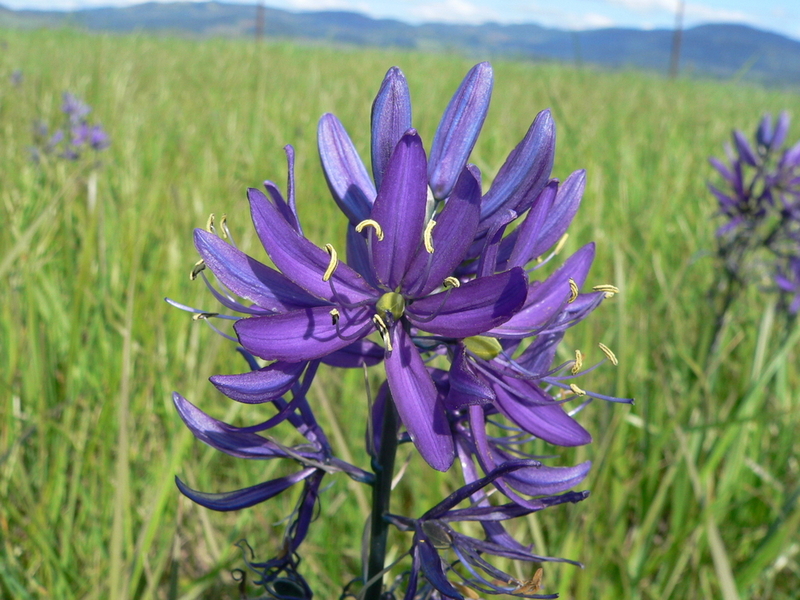 Since European settlement, agriculture and forestry practices, fire suppression, and development have irrevocably altered this original habitat. The advocate organization, Defenders of Wildlife, estimates that oak woodlands and savannas have been reduced by 80%, wetlands by 87%, bottomland hardwood forests by 70%, and native prairie by over 98%. Much that remains is severely degraded due to aggressive encroachment by invasive plants and Douglas-fir. Degraded habitat has caused the decline of numerous wildlife species, including Oregon’s own state bird, the western meadowlark. 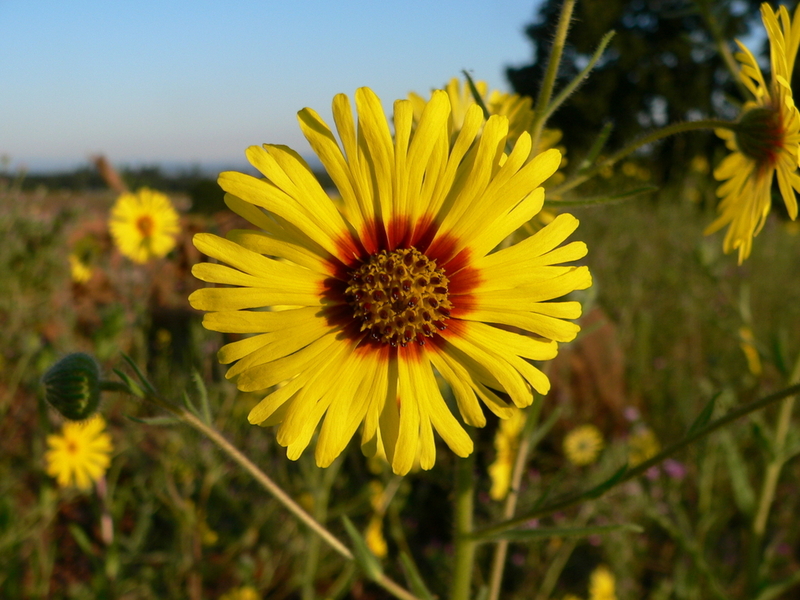 To learn more about restoration of these important habitats, see our Stewardship page. Herbaceous balds and rock outcrops occur in the driest environmental settings that support continuous vegetation: generally south- to west-facing slopes on shallow or sandy/gravelly soils. They typically occur as isolated sites within a forest matrix or on coastal bluffs. Burning by Native Americans was probably an important "management" factor on most of these sites, and some of them are threatened by tree invasion due to modern-day fire suppression. 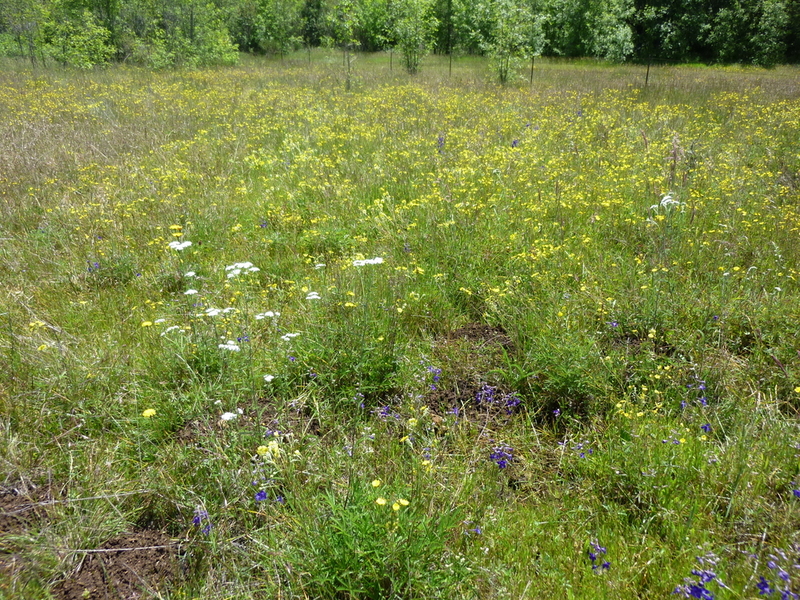 Vegetation is dominated by perennial bunchgrasses, forbs (herbaceous flowering plants that are neither grasses, rushes or sedges), and mosses. Scattered trees, especially Quercus garryana (Oregon white oak), Arbutus menziesii (madrone), and Pseudotsuga menziesii (Douglas-fir) are often present on the fringes. This system is associated with dry sites and/or frequent pre-settlement fires. In the Willamette Valley, soils are mesic (sites characterized by intermediate moisture conditions neither decidedly wet nor decidedly dry), yet well-drained. In the absence of fire, succession tends to favor increased shrub dominance in the understory and greater tree density. 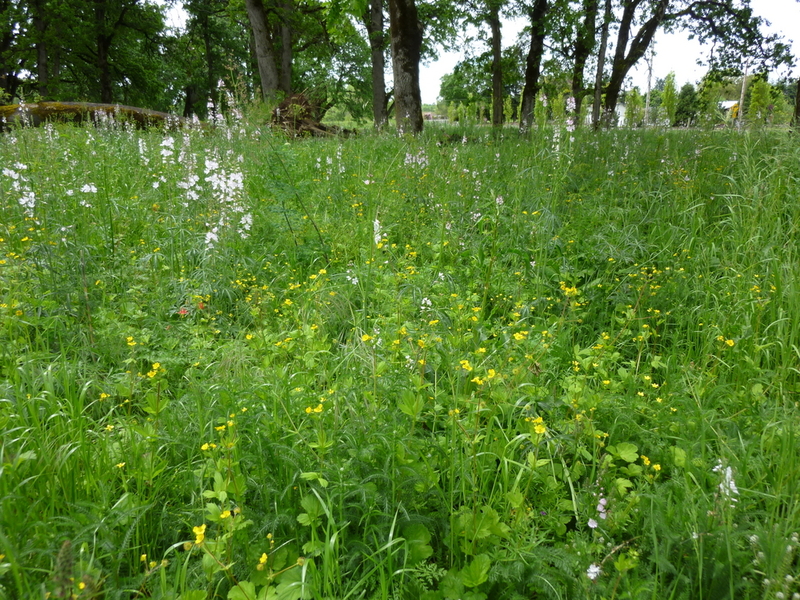 The vegetation is a woodland dominated by deciduous broadleaf trees, mostly Quercus garryana. Co-dominance by the evergreen conifer Pseudotsuga menziesii is common, the climax result being conifer forest. setting frequent low-intensity fires. With fire suppression or in abandoned pastures, many such areas have reverted to forest. 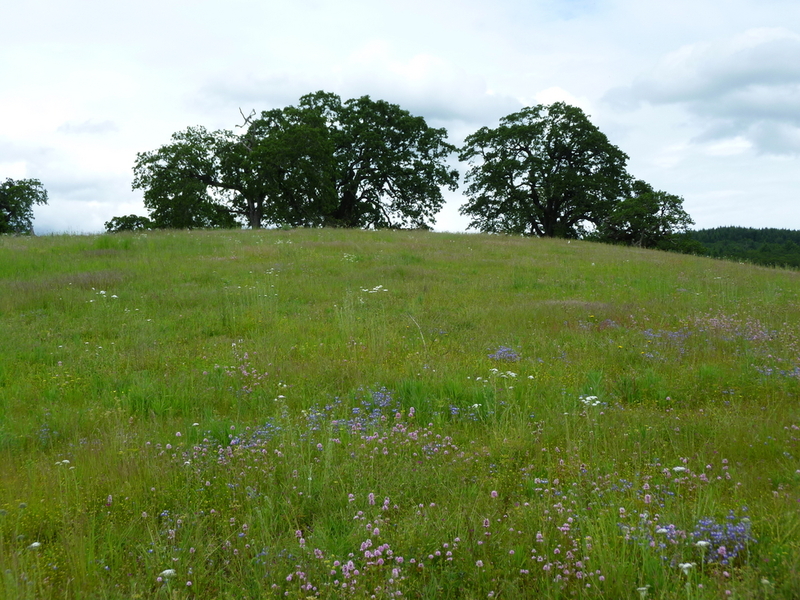 The dominant vegetation of these native grasslands were perennial bunchgrasses such as Festuca roemeri (Roemer's fescue) and Danthonia californica (California oatgrass), with abundant and diverse herbaceous plants. Scattered, open-growth trees such as Quercus garryana, Pseudotsuga menziesii, or Pinus ponderosa (ponderosa pine) within the grassland characterize a savanna. Uncommon now, such savannas once covered about 1/3 of the Willamette Valley. 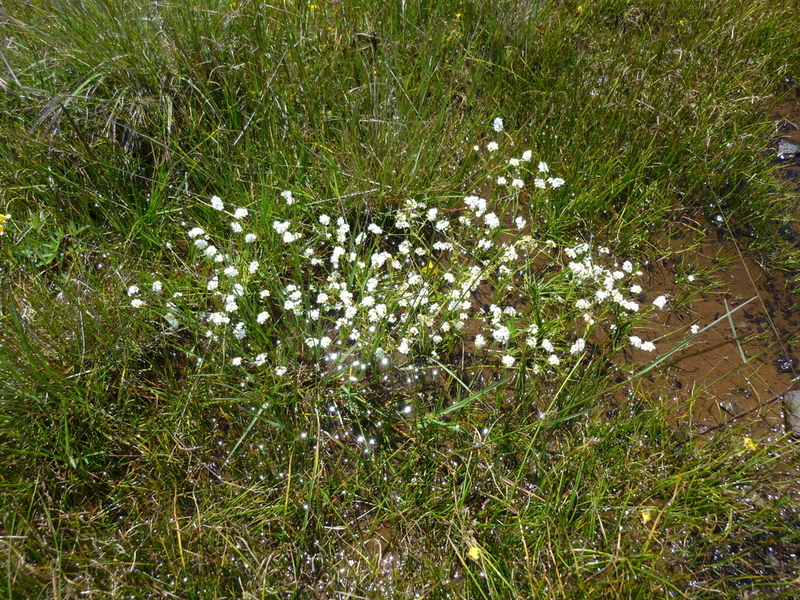 Vernal pools are a component of wet prairies (see below) characterized by freshwater inundation for much of the winter and spring, followed by summer drought. They are found in isolated small depressions with no inflow or outflow, and a restrictive subsurface soil layer (clay or bedrock). 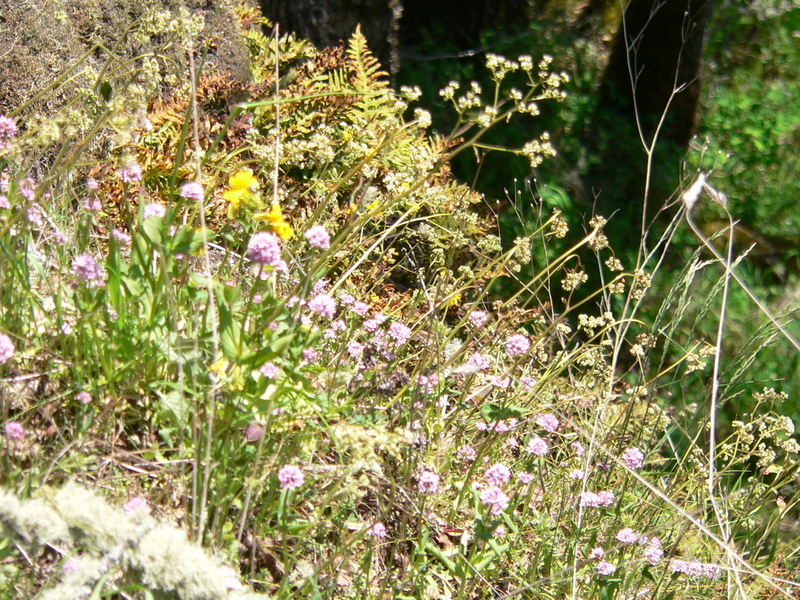 Vegetation is, typically, dominated by annual forbs. 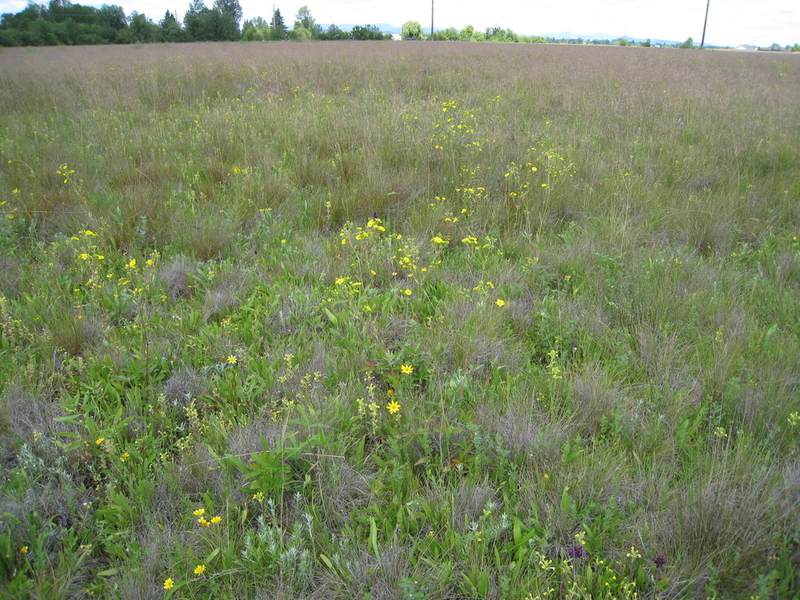 Wet prairies covered large areas of the Willamette Valley where they were maintained by a combination of wet soil and regular burning. These are high nutrient wetlands that are temporarily or seasonally flooded. They have been reduced to tiny fragments of their former range. They are dominated primarily by grasses, sedges, and rushes, especially Deschampsia cespitosa (tufted hairgrass), Danthonia californica, and Carex spp.